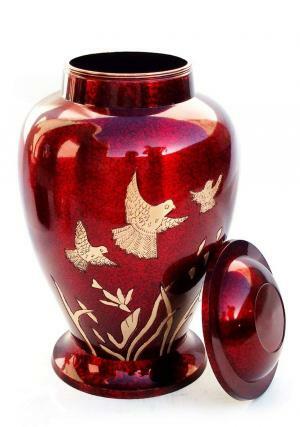 Birds In Flight Large Red Adult Urn is beautifully decorated with red marble painted and hand crafted with three flying birds on large brass urn. 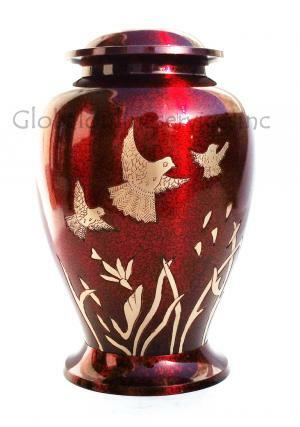 The birds are engraved well with floating trees and stemmed feathers in a unique presence. 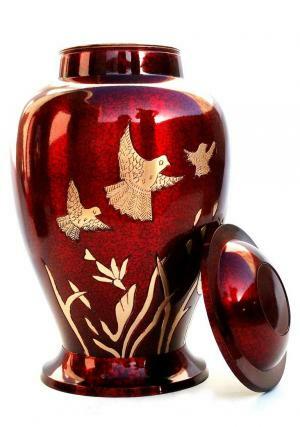 The Threaded lid on the top used as a closure can be sealed on temporary basis or permanently to secure the ashes of the demised. 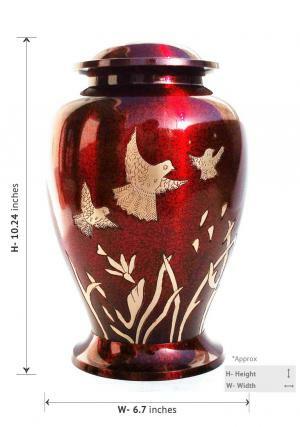 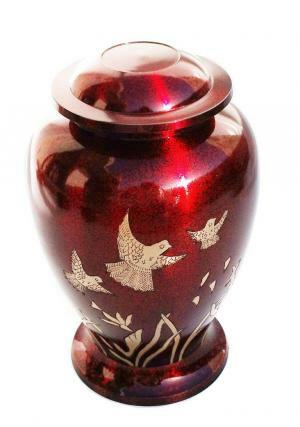 The Birds In Flight Red Large Memorial Adult Cremation urn measures to be 10.24 inch tall, 6.7 inch width which weighs 2.44 kg(Empty) and volume space of 200 cubic inch.